After sweeping across the Midwest and bring extremely low temperatures, Winter Storm Inga has made its way to the East Coast, bringing snow and icy weather from Florida to Maine. Today will hopefully be the worst of the bad weather, but the storm has already had an impact on fuel supply. Subject to deep freeze conditions yesterday, some Houston refineries chose to reduce or cease operations in response to freezing weather. Gulf Coast refineries are less familiar with deep freezes than northern oil companies. The risk of power outages, frozen pipes, or equipment strain led some southern refineries to take extra precautions to protect equipment. So far, those refinery outages have not caused a significant change in fuel prices. Diesel supplies in the Southeast have come under pressure due to power companies ordering diesel fuel. Natural gas shortages have forced utilities in some places to rely on diesel generators. Supplies could remain tight for the next few days, since all fuel supplies in the Southeast are reliant on timed shipments on the Colonial Pipeline. Fuel carriers, facing icy road conditions, are also exercising caution. Already delayed by dangerous road conditions during Winter Storm Grayson two weeks ago, carriers could experience further delays. When transporting hazardous materials such as fuel, extreme caution must be used to ensure road safety for drivers. As you order fuel this January, keep in mind the fuel quality concerns we noted during Winter Storm Grayson. Given variability in crude feed stocks, some diesel fuel has been more waxy than normal and could have a higher than desirable cloud point. These conditions, combined with extremely cold weather conditions, could potentially lead to fuel gelling at temperatures as high as 15° F.
Fuel with high wax content may require changes in kerosene and winter additive treat rates. Fuel tests in areas such as Kansas and Missouri have shown unusually high wax content, requiring much higher treatment rates than normal. 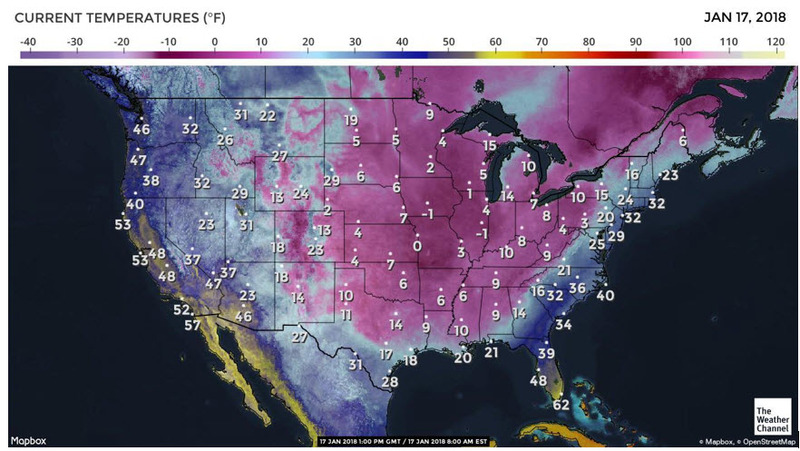 Winter operability concerns vary widely by geography, so contact your customer service representative or click below to learn whether your operations may be impacted.